Hello, it's me. Here to be the bearer of bad news. It happened, just as we expected it would. Adele's new album 25 has leaked just two days before its official release on Nov. 20. The British singer came so close, but yet so far to keeping it under wraps. So, who is the person who ruined the surprise? According to Nylon, it was first reported that the leak was caused by a Target putting the album on its shelves too early after a fan tweeted, "Just copped that new Adele album at Target. Retweet if you want me to leak it." 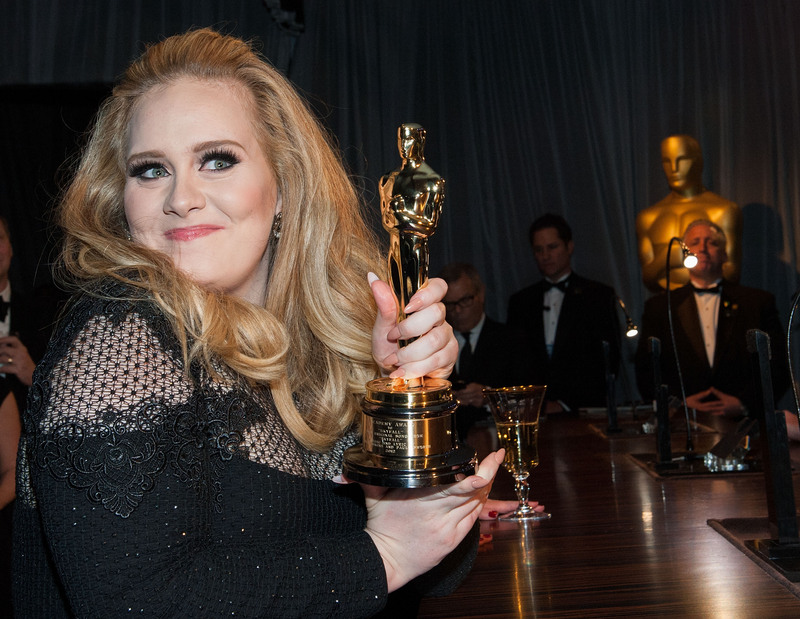 But Adele's rep released a statement saying, "The Target sales are not true." This was the second store to be accused of leaking 25. According to Fuse, Juno Music in the UK was rumored to be the culprit the day before. Mashable even joked that this all may be an elaborate prank by Jimmy Kimmel. As of right now, it seems we may never know who leaked Adele's "make-up" album, but they'll certainly always have it on their conscience. Though, they will know what album to play as they cry about their misdeeds. But now that the album has leaked — and I know this is a crazy idea — what if we just waited two more days hear it? Sure, we all want to hear it right now — it's the one fans have been waiting four long years for — but what's two days in the grande scheme of things? I know, I know. You don't want to wait, but there are several reasons why waiting is the better choice. Our culture of FOMO makes it nearly impossible to just savor a moment. So, how about this time, prove to yourself that you're better than that and don't download Adele's new album yet. Show you've got some willpower. And maybe, you know, don't go on Twitter for the next 48 hours if you're concerned about spoilers. You know she's better than some rinky-dink illegal download when in two days you could hear her in all her remastered glory. Just think about how good it's going to sound. Let her voice be your guide to just say no. Instead of downloading the new album right now, why not start a countdown to the official release of 25? Watch all of her videos on YouTube. Spend some time counting how many times she actually says hello on "Hello." From her makeup-free Rolling Stone cover story to the New York Times feature where she admits she also cries to her music, read every interview she's done so far for this new album. Start a debate on who's the better pop star: Adele, Beyoncé, or Taylor Swift? That's bound to take a few hours. Play a few games, include alcohol if you're over 21. What would be more satisfying than a drinking game where you take a shot anytime you start to tear up over an Adele song? Don't drink if those tears are caused by the fact that you're not listening to the leaked version of 25 though. Why did you go through all that trouble of paying for it if you were just going to find a free copy on the Internet? Don't you want to have the lyric book in your hands, reading along, as you listen for the first time? Of course, you do. Adele knew you'd want to hear her new songs before the album dropped, so she released first single "Hello," then she put out a video for "When We Were Young," which she's said is the best song she's ever written. She's given you the best song she's ever written and you want to download a leaked copy of the album? Shame on you. It seemed like Adele worked pretty hard to keep this under wraps. She even kept the wait time for the album pretty short. Remember? She announced she was releasing an album less than a month before it was set to drop. See, you don't have to download it right now. Two days are just going to fly by. What? You already did? Damn it.